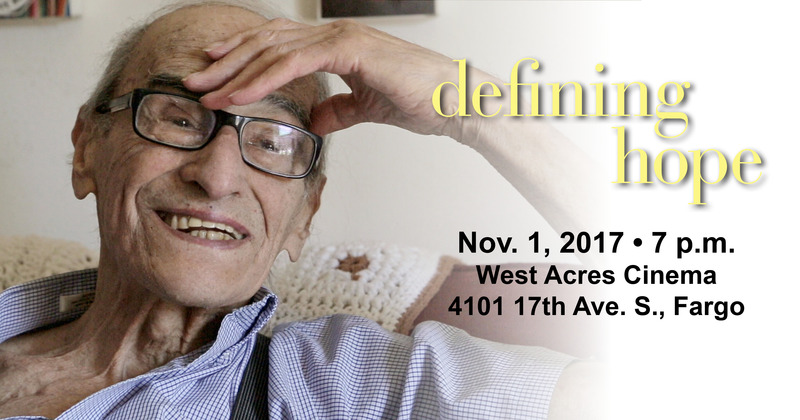 Defining Hope, a new documentary following eight patients with life-threatening illness and the nurses who guide them, will be released in select theaters nationwide for special screenings on Nov. 1 in honor of National Hospice and Palliative Care Month. The film will be shown in Fargo on Wednesday, Nov. 1 at 7 p.m. at Marcus West Acres Cinema located 4101 17th Ave. S. This event is sponsored by Hospice of the Red River Valley, Sanford Health and Essentia Health, and hosted by the Fargo-Moorhead Advance Care Planning group. Defining Hope explores what makes life worth living and what to do for ourselves and our loved ones as we get closer to the end of life. Through the stories of patients, families, nurses and healthcare professionals, the conversation around quality end-of-life care is brought to the forefront. Nurses will receive 1.25 free contact hours for watching the film and completing the evaluation thanks to the generous support of Walden University. Tickets can be purchased at http://bit.ly/defininghope for $12.50 each. To learn more about the film, visit www.hope.film.